A good read for Warcraft players. 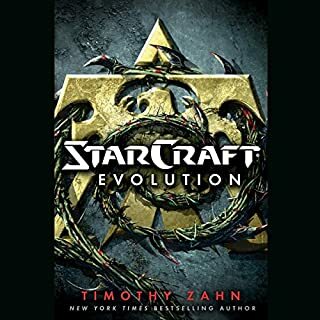 I'd recommend this book to other WoW players, especially those interested in current lore. The story would be lost on one who does not play the game, as the book does not cover a lot of background. Being a player, I do not think this is a bad quality, but it should be known. 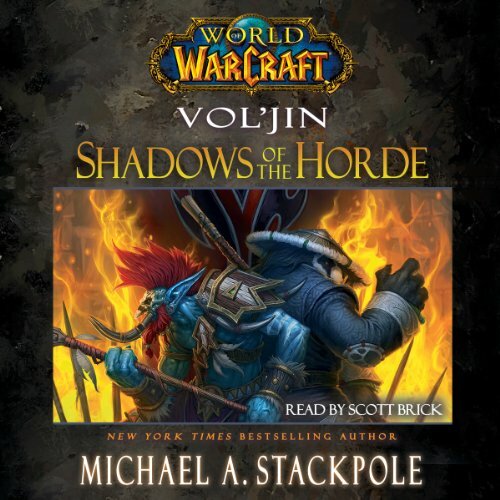 The story is very Horde centered, but the book is primarily about Vol'jin, so that should be expected. All taken in, I enjoyed the story very much! The voice acting was well done, plus the names all seemed to be pronounced correctly. 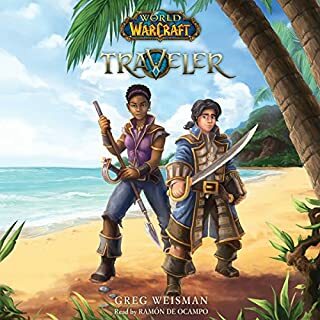 Again, I recommend this book to other WoW players familiar with 5.3 content! Amazing Tale from the Warcraft Saga! The story was amazing. The edit was fantastic. The voice actor was absolutely perfect! Definitely worth the purchase. <br />Really nice , but sometimes a bit too slow paced. It whas a really nice and interesting story, very good voice actor but some times a bit too slow paced. Dramatic voiceacting, rich in lore, interesting story with quite a few twists and well done personal reflection of characters in story that realy makes you feel you got to know them. I finally really met Vojin and Chen. I loved the story and the narration was very good. It is nice to know they story that happened behind the scenes of gameplay. I think this story also opens up the Shadow Hunter as a possible hero class in game, not just for trolls. one of the better authors that have written for Warcraft. this book was engaging and gave you sense of urgency and peril. 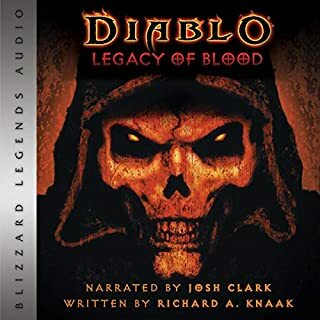 The narration was the best I have ever heard, I will look for more audiobooks narrated by Scott Brick cause he truly brings the story alive. The story itself however is just as amazing and I am stunned and in awe of the work. it made me think about many things in many different ways. Also made me return to the game after being 100% set against ever returning. It was a good book, the narrator made every one sound familiar but you could sort out the voices after a while. Wonderful insight for Vol'jin's life! Might be hard to understand everything in the books if you're not familiar with World of Warcraft. Really liked this book, only 2 things i struggled with, first one being a slow start, alot of talking in metaphores which i normally like, but i usually listen while im working, so sometimes my Work demands more attention whitch made me have to playback alot of Times to not miss anything. But thats not really the books fault and after 11 chapters it got easier. Second problem i had was to understand how powerful vol'jin really is, there seems to be alot of big talk about how strong he is but the actions in The book didn't allways support that. Other than that the book is Great, loved the ending, the storyteller also makes a good job doing the different characters voices so you can easily tell Who is saying what without the book mentioning it. What a fantastic read! It's been fantastic to get a more in depth understanding of Voljin and other characters. 10 out of 10! Really enjoyed this novel, only reason o never gave it five is I'd personally liked to have seen a bit more action from some of the characters. Slow burn bit good story. Much darker than expected. If you are a fan of the Warcraft Universe it's quite enjoyable. i loved the story. 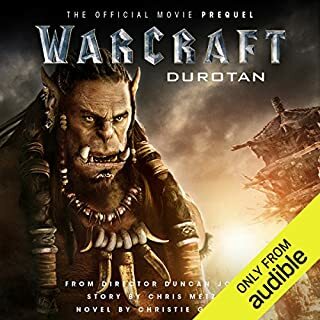 would recommend to any warcraft fans. especially the horde among you. 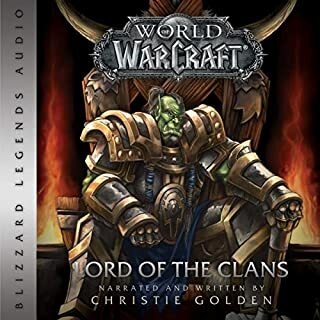 Great Warcraft Book overall, I found it a bit slow and harder to follow than some other Warcraft Audio Books I've listened to, but otherwise entertaining and worth the listen. 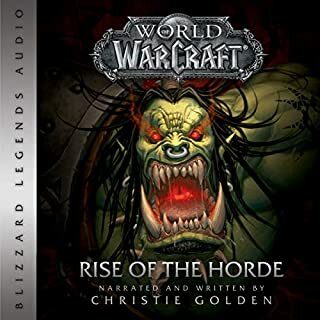 Narration is good, and the portrail of Vol'jin feels accurate, narrator even does the Troll voices (accents), a welcome touch.